While's China's statement was in line with its previous objections, New Delhi said its leaders visit the northeastern state just “as they visit other parts of India”. 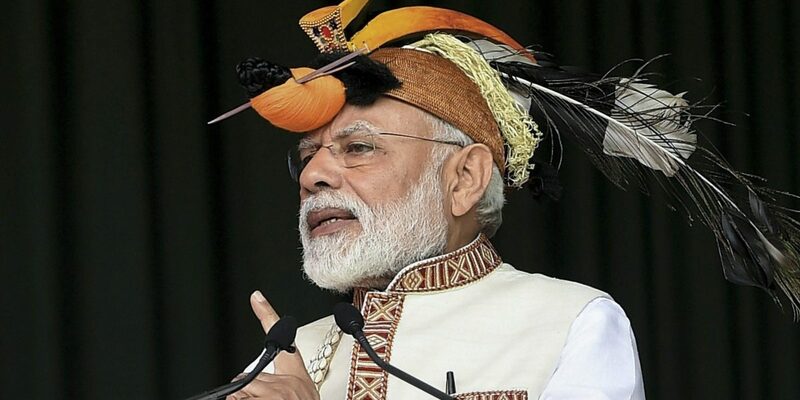 New Delhi: After China objected to Narendra Modi’s visit to Arunachal Pradesh, India dismissed the objections since its leaders visit the northeastern state just “as they visit other parts of India”. China routinely protests visits by Indian leaders to Arunachal Pradesh, which it described as ‘south Tibet’. There had been a similar complaint when Modi was in Arunachal Pradesh last year. Earlier on Saturday, the Indian prime minister was in the state to address a public rally as part of his Northeast tour. “China’s position on the China-India boundary question is consistent and clear-cut. The Chinese government has never recognised the so-called ‘Arunachal Pradesh’ and is firmly opposed to the Indian leader’s visit to the East Section of the China-India boundary,” said Chinese foreign ministry spokesperson Hua Chunying. The language used by the Chinese and Indian sides during these visits to Arunachal Pradesh has remained largely unchanged. Modi’s last visit was in February 2018, when Beijing released a similar protest statement. However, there is one missing line. Last year, China had said that it was lodging “stern representations”, which is missing from the 2019 remarks. In February 2015, Indian ambassador to China was summoned by the Chinese vice foreign minister to lodge “solemn representations” against the visit of Indian leaders for Arunachal Pradesh’s statehood day. There was no such mention of a representation – stern or solemn – being lodged by the Chinese side on Saturday. The rest of the Chinese spokesperson’s latest statement followed previous templates. “China urges the Indian side to bear in mind the common interests of the two countries, respect the interests and concerns of the Chinese side, cherish the momentum of improvement in bilateral relations and refrain from any action that may lead to the escalation of disputes or complicate the boundary question,” said spokesperson Hua. After a few hours, Indian external affairs ministry spokesperson Raveesh Kumar responded that Arunachal Pradesh is “an integral and inalienable part of India”. “Indian leaders visit Arunachal Pradesh from time to time, as they visit other parts of India. This consistent position has been conveyed to the Chinese side on several occasions,” he said. Relations between India and China have been relatively positive after the ‘informal’ leadership summit in Wuhan in April 2018. The summit was organised as a way to improve the tone of the relationship after soldiers from the two Asian giants faced each other for 72 days in Bhutan.